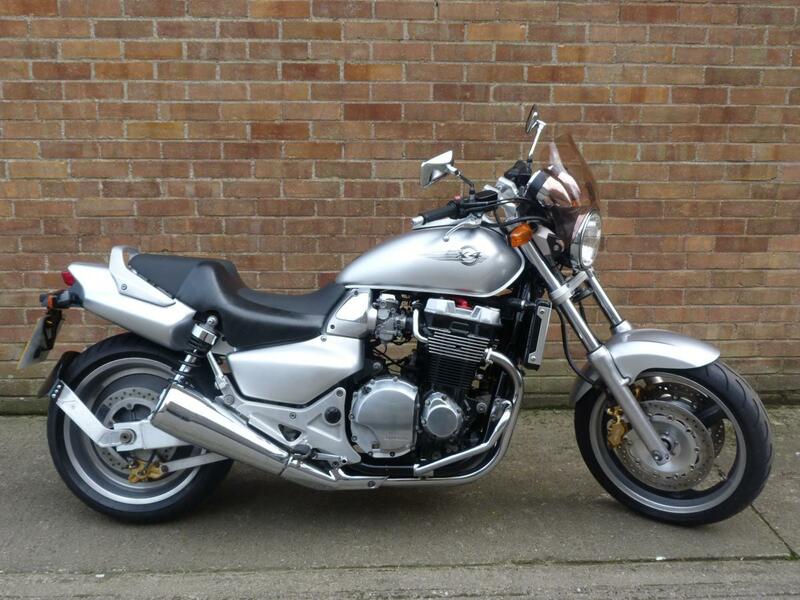 Here for sale is a 1999 T-reg Honda CB1300 X4 with 26,961 miles on the clock. This Rare Honda machine is in great condition and has been well looked after. It is Honda competetion to the Yamaha V-Max and has plenty of straight line power. A great machine for sunday ride outs on the sun with comfortable seating for rider and pillion. This bike is also fitted with a fly screen and chrome engine bars.